Jewish tradition holds that “Moses received the Torah from Sinai,” yet there is also an ancient tradition that the Torah existed in heaven not only before God revealed it to Moses, but even before the world was created. Between last week and last night, we managed to cover chapters 6 and 7, but we keep running into a wall based on our different perspectives. Paul had an ulterior motive for this trip to Jerusalem. He intended to use the opportunity for a private meeting with the apostles, those reputed pillars of the assembly under James the Righteous, the brother of the Master. James presided over the assembly of Messiah as the steward of the throne of David, so to speak. Paul wanted to present his unique interpretation of the gospel to James and the apostles – namely the version of the gospel that God-fearing Gentile believers need not become Jewish in order to inherit salvation, enter the kingdom of heaven, and obtain citizenship in the people of God; rather that faith in the Master was sufficient for even Gentiles. One of the problems Paul had encountered was hearing of “false brothers” (Galatians 2:4) coming into the Messianic communities in Galatia, and convincing some of the Gentile believers that they could only be saved if they were circumcised and converted to Judaism. This was contrary to what Paul believed, but he needed his understanding of the Gentile role in Messianic Judaism confirmed by the Council of Apostles in Jerusalem (which it finally was in Acts 15). Pastor Randy agrees with me that non-Jews don’t have to convert to Judaism and take on the full weight of Torah as the Jews in order to become disciples of Jesus. However, he believes the “false brothers” were not just convincing the Gentiles to be circumcised, but the Jesus believing Jews as well! The underlying belief is that both Jews and Gentiles were being taught by Paul that no one must “keep the Torah” once they have come to faith in Jesus because Jesus fulfilled the Law (This contradicts Paul’s own testimony that he never broke any of the laws of Torah, which he repeated many times starting with Acts 21, including what he says in Acts 25:8). According to the Greek (according to Pastor Randy), the word “fulfill” in Matthew 5 gives the sense of to fill up, to complete, rather than “fulfilling prophesy” as in simply meeting the qualifications. Therefore the Law has become our tutor to lead us to Christ, so that we may be justified by faith. Pastor interprets this verse the way you might expect, that the Torah had one primary purpose and that when Jesus came, that purpose was completed and the Torah, for the most part, is no longer valid or at least not currently valid. This actually is a little complex because there are whole sections of Torah that have to do with the Temple and Priesthood that cannot currently be performed for obvious reasons. However, both Pastor Randy and I believe that there will be a third Temple and when it exists, some or all of the laws related to Temple worship will be re-established. We also agree that what Christianity calls “the moral laws” of the Torah remain, such as feeding the hungry and visiting the sick, and these are laws that apply to Christians and (believing and non-believing) Jews. You can’t eliminate all of the Torah without eliminating Christianity. My assumption is from the opposite end of the telescope, so to speak. I believe that the Jewish believers including James, Peter, and Paul, would not have automatically assumed that the coming of Moshiach would have meant their Torah-observant lifestyles would have been changed or diminished in any way. In fact, I believe that their faith in Messiah would have given them a renewed sense of purpose and meaning in Torah. Pastor believes that there is a purpose to certain portions of the Torah after the ascension but that those portions apply equally to both Jewish and Gentile believers, since believers are defined by faith in Jesus as the bottom line. I disagree and believe there is an additional differentiation between Jewish and Gentile believers based on Sinai and that the Jewish believers remain distinct, even among the larger body of Gentile disciples of Messiah. My project is to try to investigate the purpose of Torah for Jewish people who are in Messiah. Pastor is going to approach it from his perspective starting with Calvin’s Purposes of the Law in the New Testament. While I think it’s necessary to look at such a viewpoint, my concern is that by definition, it will not take the possibility of continued Jewish Torah observance into account. I think it is completely reasonable to say that believing Jews and Gentiles can still have differences in obligation and duty under the Torah, just as Levites and Kohens have different duties under Torah than other Jewish people. They are all Jewish and yet specific Jews have certain additional obligations based on who they are. In a community of Jewish and Gentile believers, they (we) are all believers, but the Jews have certain additional obligations based on who they are. Even a casual Google search on the string, “What is the purpose of the Torah” turned up a vast number of what seems to be very compelling sources, too many to review and summarize in a single blog post. I know this conversation with Pastor Randy will go beyond next week’s meeting, but we both agree that we need to, if not settle the matter, at least have a better handle on it than we do now (we’re also covering Chapter 8 in Lancaster for next week). Oh, Pastor Randy reads my blog every day, so it’s not like I’m trying to pull a fast one or something. One more thing. At the beginning of this blog post, I quoted from Jewish Virtual Library on part of the “identity” of the Torah. It’s interesting that Pastor Randy pretty much agrees with that definition. That is to say, he believes there is a “Word of God” that is independent of the physical object we call a “Bible.” There is a pure, refined, holy, transcendent Torah in Heaven that no man has access to. The Bible contains the Word of God, but the Bible isn’t actually that Word. That belief lends itself to some very interesting possibilities about what happens when we study the Bible, but I’ll stop at this point rather than try to explore such a vast territory. 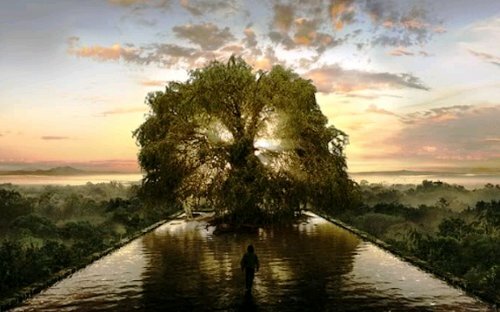 The Torah is a tree of life for those who grasp it, and its supporters are praiseworthy. Its ways are ways of pleasantness and all its paths are peace. Lengthy days are at its right; at its left are wealth and honor. Hashem desired for the sake of its [Israel’s] righteousness, that the Torah be made great and glorious. I hope to continue contributing to this project on my blog with some regularity, not only because of my conversations with my Pastor, but for its own sake. I suppose I’m “reinventing the wheel,” and perhaps some knowledgeable scholars have already done some or most of the work for me. If that’s true and who know where I can access that work, don’t be shy. Let me know. More questions and another perspective on Torah coming up in Part 2 of this series. The category “ritual (or ceremonial) law originated with the Church Fathers, was perpetuated by the Reformers (Luther, Calvin, etc. ), and became “common knowledge” among Christians. But I do not know of any explicit biblical statements to the effect that ritual laws form a separate category within the Torah. The Torah itself makes no such distinct, listing ritual laws among the rest of the commandments (see Lev. 19, for example, esp. verses 19-21). In fact, where is the category even named in the Bible much less described as irrelevant to Jews in the New Covenant? In fact, where is the category even named in the Bible much less described as irrelevant to Jews in the New Covenant? Of course, it isn’t. It’s just a mechanism that allowed the Church fathers and subsequent Christian authorities the ability to discount certain portions of the Torah (kosher, shabbat) while keeping others (feeding the hungry, visiting the sick). I was going to say that I think the only function of the Torah that has been “fulfilled” is pointing to Messiah, but now that I think about it, that function too is still in force. Otherwise, how would anyone post first century know who Messiah is? How can we simply use portions of the “Old” Testament for our own purposes? The Torah is God’s first revelation of Himself and His ways. Creating artificial distinctions and only pulling it out to buttress our particular stance doesn’t make us too credible to those who know what the Torah is (God’s teachings). Honestly I’d say you are over-thinking it… If Torah was used to point people to Jesus before He came why could it not be used for that same purpose now? Think about it; Paul makes it clear that when he was trying to fulfill Torah without first being redeemed it was an act of frustration and he failed miserably. Once he came to faith in Messiah he was changed and he died to his sin nature. If we were able to get the gentile church as a whole to embrace Torah (wishful thinking; I know) then those growing up in the church would see the need for their redemption and the need for Jesus like they never had before. Remember also that “pointing us to Messiah” is not the sole purpose of Torah according to the Apostolic Scriptures. So don’t get too hung up on just that one phrase. Jewish civilization was already over 1,000 years old when the Romans conquered Judea, but the Jew safe guarded their unique heritage for the next two millennia. No matter how far they wandered, how much they adapted to their host societies or how much they were persecuted, Jews maintained their identity. Judaism and its sacred books bind the Jewish people together. Whether they are religious or secular, Jews are connected by the ethics and values that Judaism teaches. Parents have passed the tradition to their children, who passed it on to their own children, and so it has continued for thousands of years. Jews everywhere observe the holy days in almost identical ways and repeat the rituals and prayers that Jewish families have used since the days of ancient Israel. Jews share the same life-cycle rituals. When an eight-day-old infant is circumcised or adolescents celebrate their Bar Mitzvah and the whole community celebrates, they are reenacting age-old Jewish traditions. When a loved one dies, Jewish customs and prayers comfort the grieving and spell out how the community should support and console the mourners. Jewish life centers around home and family. Jewish tradition sanctified family relationships. Parents’ devotion and sense of responsibility for passing on Jewish identity have bound generations to the past while linking them to the future. Jews have always identified with Zion, the Jewish homeland. It is at the core of Jewish history, religious texts and identity. Many consider the title to the land to be at the heart of the promise between God and the Jewish people in the Torah, which dates back thousands of years. The Hebrew language, the Torah, the laws in the Talmud, the Jewish calendar and Jewish holidays and festivals all originated in ancient Israel and revolve around its seasons,way of life and history. Zion and Jerusalem are mentioned 809 times in the Hebrew Bible. When Israel was reestablished in 1948, Jews everywhere came to embrace Israel and once again recognize it as the center of Jewish life and continuity. Ruth said: How can we simply use portions of the “Old” Testament for our own purposes? The Torah is God’s first revelation of Himself and His ways. Creating artificial distinctions and only pulling it out to buttress our particular stance doesn’t make us too credible to those who know what the Torah is (God’s teachings). Some would say, including my Pastor, that creating “artificial distinctions” between believing Jews and Gentiles is doing the same thing. On top of that, there are large sections of the Torah that can’t be observed today because there’s no Temple, no Priesthood, no Sanhedrin, and so forth. Also, for Jews living outside the land, there are a number of the mitzvot that can’t be performed because they can only be done in Israel. It’s also my Pastor’s understanding that one of the mitzvot for a Jew is to living in the land, and how many Jewish people today choose not to for one reason or another? There are a series of questions that must be addressed. Of the 613 commandments (which weren’t codified in their current form until about the 12th century CE, which ones can be performed by a Jewish person today? Were any of the specific mitzvot explicitly made invalid or removed from operation because of the appearance of Messiah? If Jews are Gentiles are one in Messiah (Galatians 3:28), then on what basis are Jews also obligated to the mitzvot of the Torah but Gentiles aren’t? All this goes back to the central question that when I say Messianic Jews are obligated to the Torah mitzvot, what do I mean by “Torah” and can I support my statement based on the written Bible only? Andre said: Honestly I’d say you are over-thinking it… If Torah was used to point people to Jesus before He came why could it not be used for that same purpose now? I tend to agree with that statement, Andre. The purpose is the same for Jews today. The Torah continues to point to Messiah. I don’t know if we can know that Paul was frustrated with a life of Torah observance before recognizing the Messiah, though. He certainly was passionate about wiping out the Jewish disciples of the Master and at the time, thought he was doing the right thing. I don’t know that we can or even should get the whole church (worldwide Christianity) to “embrace Torah.” I’d be happy if we could get the majority of Christians to believe that it’s at least “OK” for Messianic Jews to observe the Torah mitzvot. True, but a lot of Christians are “hung up on that phrase” so I’ve got to address it and satisfy it in some manner. altruistico said: Judaism and its sacred books bind the Jewish people together. Whether they are religious or secular, Jews are connected by the ethics and values that Judaism teaches. Parents have passed the tradition to their children, who passed it on to their own children, and so it has continued for thousands of years. I agree that the Torah and the writings and judgments of the sages are all part and parcel of God’s plan to sustain the Jewish people as a separate people group from the nations for the long haul, but that’s not exactly “provable” from the Bible. My Pastor is intelligent, well-educated and well-read, and something of a Bible literalist. If it isn’t something that we see directly in God’s word, then he’s not going to go for it. That’s part of his problem with believing that how Orthodox Judaism operationalizes the Torah commandments actually is sanctioned by God. He lived in Israel for fifteen years and has many Jewish friends and associates, some of them Orthodox. I think if he had his “druthers,” he’d introduce more about the festivals and other aspects of observance consistent with Jesus to the congregation. He told me that partly as the result of our conversations, he’s going to be teaching about the Biblical festivals this fall. I’m hoping that we’ll build a sukkah at church and maybe have a seder next spring. However, the issue at hand is can we illustrate from the Bible and particularly the New Testament, that it was the Messiah’s intent for believing Jews to continue observing the Torah mitzvot forward in time as a perpetual standard of Jewish behavior, and can we show that this is what Paul was teaching to the Jewish disciples? As an interesting aside, Pastor told me that he would never require a Jewish person who came to faith in Messiah to give up the mitzvot. He sees it as voluntary for Jews based on personal, ethnic, and cultural considerations, though. Something of the reverse to how some branches in Messianic Judaism see Gentile observance of the mitzvot. However, I want to illustrate that it was always a “given” that Jewish believers would continue to observe the Torah and that faith in Messiah, rather than reducing or eliminating a believing Jews performance of the mitzvot, would enhance and magnify a life in the Torah, giving it full meaning in Messiah. While it may seem simplistic, Psalm 19 summarizes unequivocally the functionality of the Torah. There is absolutely no reason to infer that any of this is changed in any degree by Rav Yeshua’s teaching, nor his sacrificial martyrdom, nor his resurrection. When he said that he had come to fulfill the Torah (and the Prophets), he first said that he had not come to destroy, diminish, abolish, abrogate, or in any way eliminate that Torah and its applicability. Any attempt to interpret its “fulfillment” in any manner contrary to its continuation is an outright denial of what he taught. If anything, he embellished it so as to fill it even fuller with meaning. And, lest anyone fail to understand this emphasis on Torah’s continuing validity and applicability, he continued his statement to equate the endurance of Torah with that of the heavens and earth, and he specified that the results of performing it and teaching it even more diligently than the scribes and Pharisees did would be greatness in the kingdom of heaven. Further emphasizing the danger of diminishing it or teaching others to do so, he specified that those who do would become least in that kingdom. Hence Rav Yeshua’s demeanor represents the epitome of Torah and the culmination of its goals, which is what Rav Shaul was saying in Rom.10:4. Moreover, the example provided by Rav Yeshua in his own completely fulfilling performance of Torah does not offer any discouragement to any other Jew to pursue the Torah any less, but does rather the opposite of encouraging its better performance as described in Matt.5:19-20. An example is then seen in Acts 21 of tens of thousands of Jewish disciples in the Jerusalem environs responding to exactly this encouragement. Additional obvious simplicity recognizes that unity is not the same as uniformity, nor does unity require any sort of enforcement of uniformity. Hence the unity of Jews and non-Jews within the body of those who trust the Jewish Messiah for his teaching and for the effects of his martyrdom does not impose any uniformity on their legal obligations vis-a-vis the Torah. Thus we see the decision in Acts 15 that non-Jews are not legally bound to perform all of Torah. Their legal requirements are simplified to four principles only, and their moral instruction is implied in the observation of verse 21 that Torah teaching is available every Shabbat. I have already summarized in the preceding paragraph how Jews were expected to continue to relate to Torah, though yet one more re-iteration of it may be found in a passing comment by Rav Shaul to the non-Jewish Galatians (Gal.5:3) that all those who are circumcised (i.e., Jews and proselytes) are obligated to perform the entire Torah. Discouraging non-Jews from becoming circumcised (in order become Jewish covenant participants), and guarding them against any coercion toward it, does not in any sense imply that Jewish disciples (who are already circumcised covenant participants) should abrogate the ancient covenant by ceasing to circumcise their eight-day-old sons. While these observations have been deliberately ignored, obscured, resisted, and denied by post-Nicene Christianity, there is now no excuse to continue doing so. The linguistic interpretations and logic of the scriptures referenced here are impeccable and undeniable without applying an intellectually-dishonest anti-Jewish overlay. I cannot state it any more plainly or baldly; and there is really no benefit to be derived from applying any sort of diplomatic varnish to it. We Jewish disciples of the Jewish king Messiah are taking back our ancient heritage. Our former partial blindness has been removed. When Rav Yeshua returns as the Davidic Jewish King, and rules from the physical geographic locale Jerusalem, his kingship will operate as specified in the ancient Torah and Prophets (possibly also as updated by designated Jewish authorities since). In that day also the thick dark fog that has covered the minds of the nations will be gone. But how many non-Jewish disciples will succeed at emerging from that darkness before that day dawns? Certainly some have done so; some have even assisted the Jewish renaissance. Others are resistant; and even some Jewish disciples follow their dim-sighted example. I intend to encourage a better example. Thanks for that well written history and summary of Torah and the Jewish people, PL. I also can’t see the Messiah simply coming on the scene and sweeping the Torah into the nearest dustbin, since Torah not only points to him as Messiah but also defines Israel and the Jewish people. Although Protestant Christianity doesn’t like to think of itself as having traditions, the interpretation of the role of Torah as applied to the Jewish people is very much defined by Christian tradition and the manner in which certain scriptures are read to create a particular impression. That’s slowly changing thanks to many intelligent and skilled Jewish and Christian scholars and researchers but here on the ground, so to speak, there’s still the struggle to get past the preconceptions manufactured over many centuries by the church, and to recast the gospels and epistles as having a Jewish voice. Tapping into that body of knowledge (which for my own part, I’m trying to assemble), we can begin to show Christian clergy and laity a clearer picture of the intent of the Jewish writers of the apostolic scriptures, one that will replace the old interpretations which sent the Jewish people to the back of the Christian bus. I anticipate in my own life that it will happen one conversation at a time. I spent my formative years in the heart of the Christian community (both fundamentalist and, later, pentecostal); and most of my post teen adult years as a Jew (I formally converted when I was in my early thirties, am now in my late 50’s). Two of the most helpful things a Christian can do, to untangle the issue of Torah laws and their applicability or non-applicability to Christians, Messianics (whatever that means) and Jews (there is no need to distinguish between ‘believing’ and ‘non-believing’ in the context of this question), is to 1) spend time in the Jewish communities–both orthodox and reform; and, 2) use fundamental logic and common sense along with absolute clarity. It is vital to understand from the time Torah, both oral and written, was given, God’s People have been formulating ‘halakhah,’ which is the way in which the laws or instructions of Torah are perceived and carried out. Christianity seems to have a penchant for the notion that there is such a thing as Torah-on-earth, untouched my human ‘contamination.’ When we divorce our thinking from fantasy and conjecture, limiting our deductions to the realm of logic, we realize that not only did the Torah of the earthly realm become subject to mutation, when passed into the safe keeping of humans; but, the Sages saw this unavoidable reality as a sacred obligation and avocation. There are many quaint traditions and stories which confirm this. What impact does this reality have on how we are to interpret the teachings of Yshua and Paul? As Jews, they understood that Torah was subject to halakhah and always would be. They operated within that framework of understanding. Yshua said to do as the Torah teachers say when they sit in the seat of Moses…but not to do as they do! He was making a striking comparison between their personal behavior and the manner of observance which they taught from their place of halakhic authority. Most of his interactions with them were on points of halakhic law which he found inadequate to rebuild the soul and prepare one to undertake the mission of the Kingdom. That is not to say that their halakhic teaching was necessarily wrong, but that did not go far enough, in many instances. Inspired halakhah and obedience to it should change us from within. Okay, what does any of this have to do with the question of the applicability or non-applicability of Torah? Simply this: the matter of halakhah (how Torah is applied on earth to the lives of human beings) is up to man and not HaShem. That does not mean He approves of every ruling and interpretation we may make; but, irrevocably, that it’s not in His hands and hasn’t been since He passed Torah on to us. …If we take this approach, it changes everything about the debate. Everything! It enables us to stop searching for the spiritual ‘green line’ between Christians and Jews and Messianics–it doesn’t matter! It explains WHY there are ultra-orthodox, orthodox, conservative, and reform Jews (and many more sects, which I won’t try to name here); it also explains WHY there are devout Catholics and not so devout Catholics; and WHY there are over 400 denominations within Protestantism. The overwhelming need behind the question of Torah applicability is to get busy within our various communities adapting Torah to our lives, i.e., making halakha. Getting caught up in and sidetracked by the question of what laws apply to whom is a giant red herring. ‘Salvation’ the process of ‘walking with God,’ is a daily (hourly?) undertaking, which we are to ‘work out with fear and trembling.’ Paul understood this because he understood the absolute need for halakhah in the lives of those who would undertake the work of the Kingdom, regardless of their religious background or orientation. Halakhah is an indispensable aspect of the salvation process. We need to accept that and get about the business of mastering it. While the Law is mutable, the Spirit is not. This is one of the great benefits of Yshua’s earthly tenure, death and resurrection–when he returned to the Heavenlies to sit at the Father’s right hand, the Spirit was sent to earth’s realm in greater measure than ever before. This is why the prophet Jeremiah wrote of a ‘new’ or ‘renewed’ covenant–which could be written on our heart-minds by the Spirit. 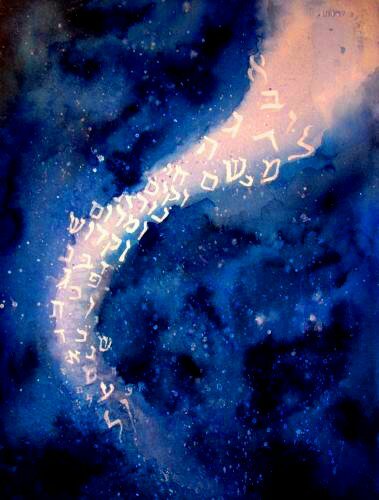 While Yshua walked among us, he brought enlightenment, correction and deeper purpose to Torah; now that the Spirit is with us, our ability to make wise and profound halakha should soar to the heavens; but, what are we doing with our energy? Endlessly debating the color of yesterday’s fish! 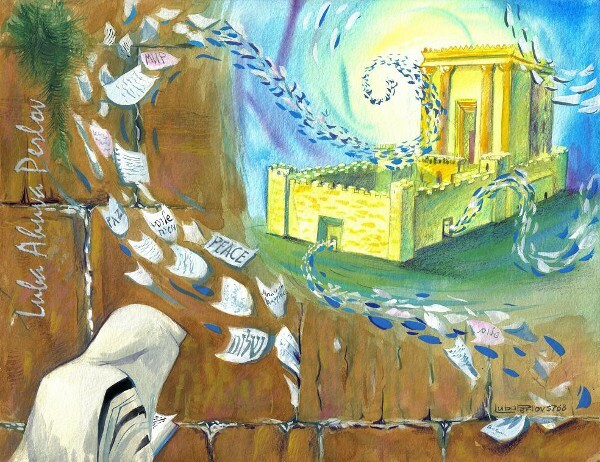 When Yshua declared to his follower, Kefa (Peter), that ‘whatsoever you bind on earth shall be bound in Heaven and whatsoever you loose on earth shall be loosed in Heaven,’ he was conferring specific authority to make halakhic decisions and rulings, on an ad hoc basis, if you will, even in the moment of the situation! This is buttressed by Yshua’s instruction to ‘eat whatever is placed before you, etc.,’ in the field of mission. Presumably, this same authority to make halakha rests with any true disciple who undertakes the mission of the Kingdom. In that context, do you not suppose that some, if not many, traditional halakha, must, of necessity, be jettisoned in order to accomplish the greater purpose (at the moment) of Kingdom-mission? If that is so, it has a reverberation to all of Kingdom life, in Diaspora, which has existed for the past 2,000 years in the absence of our holy Temple and City*. The Sages are clear, however, that moral laws are static and must be adhered. We see this in the Talmudic presentation of three laws which must be considered in any context; two of which may NOT be abrogated: 1) murder; 2) idolatry; and the third, which is a matter of personal choice, i.e., halakhah: 3) engaging in sexual immorality to save one’s life or the lives of others. *My devout Jewish son, (not ‘Messianic’) who has spent time in reform as well as orthodox communities, in Israel and America, remarked to me recently, that the liberation enjoyed in the (Jewish) reform community, no doubt directly parallels the liberation in Christian circles from the onerous tedium of legalism which exists in the orthodox communities. Interestingly, he credits this liberty of spirit and observance to the freedom which Yshua brought and which Paul taught. This is not freedom from morality, but freedom from a type of ‘creeping legalism,’ which undermines the mission of the Kingdom. Diana said: Okay, what does any of this have to do with the question of the applicability or non-applicability of Torah? Simply this: the matter of halakhah (how Torah is applied on earth to the lives of human beings) is up to man and not HaShem. That does not mean He approves of every ruling and interpretation we may make; but, irrevocably, that it’s not in His hands and hasn’t been since He passed Torah on to us. …If we take this approach, it changes everything about the debate. Everything! Hi Diana. You might want to take a look at the conversation between ProclaimLiberty and Carl Kinbar in the comments section of Part 2 of this series, since they seem to be discussing the same issue. It’s an interesting dilemma and one that underscores the struggle of Rabbinic authority and the Messianic Jewish movement. I think one way of looking at Jesus “fulfilling” the Law since a function of the Law is to point to Messiah, is as his declaration that he indeed is the Messiah. The Law has pointed to him, but it always points to him. He came and confirmed his identity, but subsequent generations of Jewish and non-Jewish people require the Torah’s continued existence in order to see that it points to the living reality of Yeshua. As I’m reading the various comments in this series (two parts published so far, number three goes online Monday morning), I’m realizing that the Torah has several continuing purposes for both Jews and Gentiles. The Torah is the foundation of both the Jewish and Christian Bibles and for believers and those who will come to faith, there is no way to really understand what Jesus and the apostles were teaching without the Torah and the Prophets. Torah defines sin. Torah illustrates the reality and identity of Messiah. Torah provides a lifestyle that specifically defines the Jewish people and the nation of Israel. Torah will become vitally important when Messiah returns and the Third Temple is built, since many of the prophesies of the Messianic age require the laws of the Temple to be enacted. Also, Messiah himself said Torah would not pass away until Heaven and Earth pass away (which they will, but not for quite some time…and Messiah also said his words will *never* pass away, which makes the teachings and authority of Messiah more eternally durable than even Torah). The list of purposes for the Torah as applied to Messianic Jews and even Gentiles, continue to grow.